Valley View Villas offers four- and five-bedroom apartment homes. 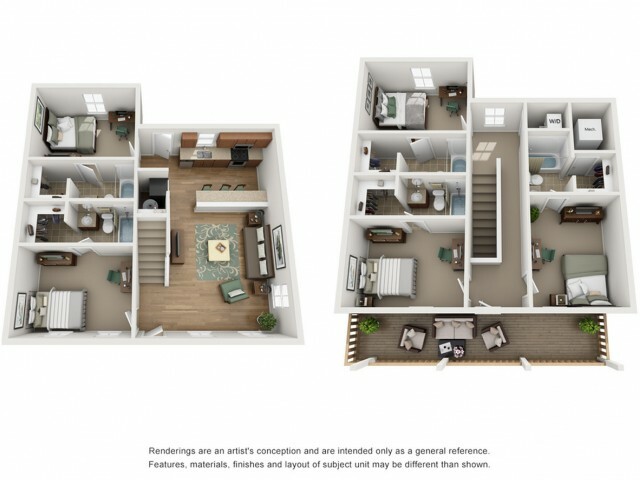 We feature a variety of floor plan options, so we're sure that you will find one that meets your needs! Floor plans include features like expansive living areas, private bedrooms and bathrooms, plenty of closet space, and stainless steel kitchen appliances. 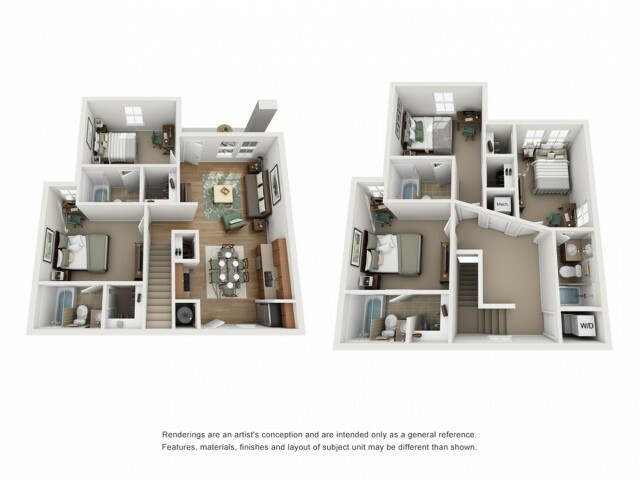 Our floor plans range from just over 1,556 square feet in size to 1,888 square feet, so no matter which option you choose, you'll enjoy an ample amount of space. Each pet-friendly layout has been expertly designed to be spacious, comfortable, and convenient. 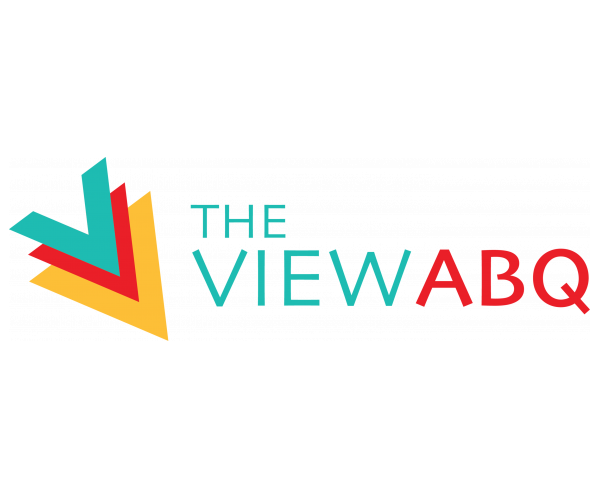 With premium faux wood flooring, plush carpeting, illuminating windows, and most utilities included, you'd be hard-pressed to find other apartments in Albuquerque with all the comforts of home. 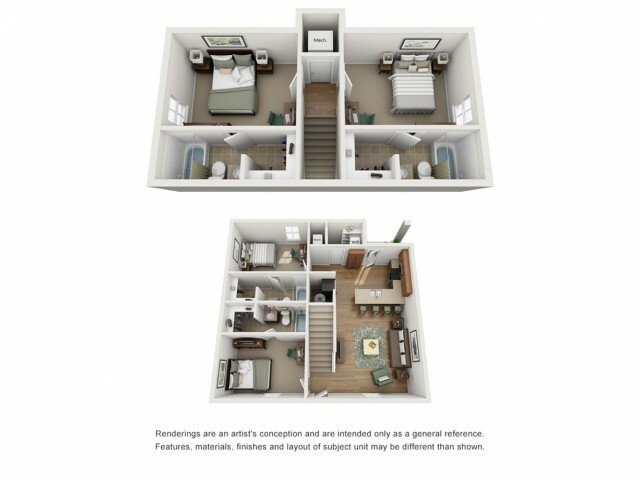 Browse our various expansive floor plan options, and contact us today for more information about Valley View Villas. **Pricing for 12 installment lease. ***SQFT listed is an approximate value for each unit. ****Rate is per bed per person.